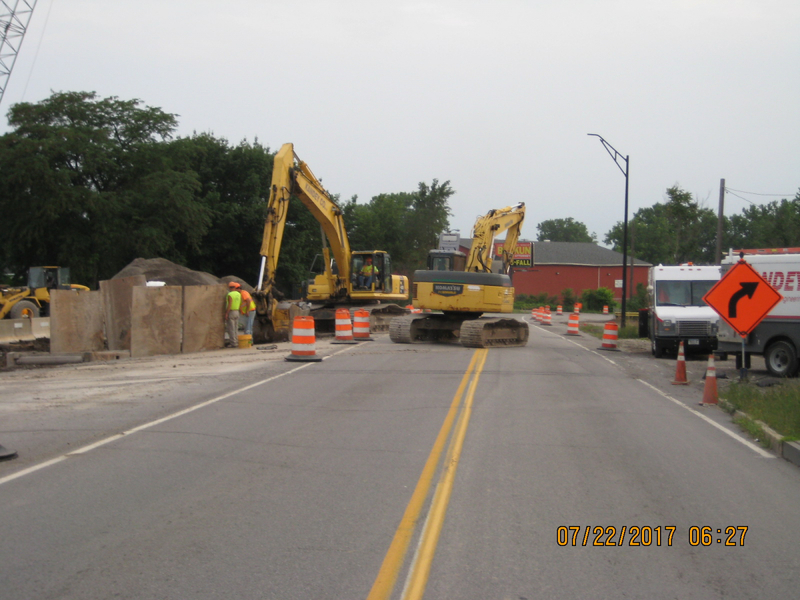 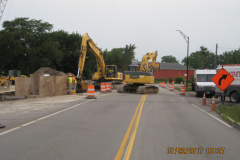 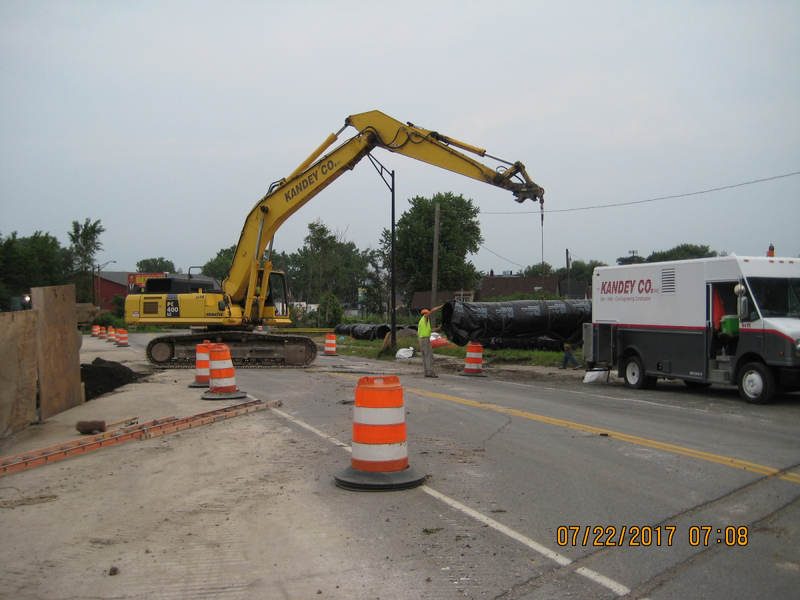 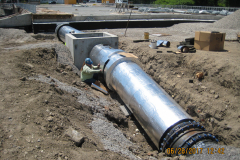 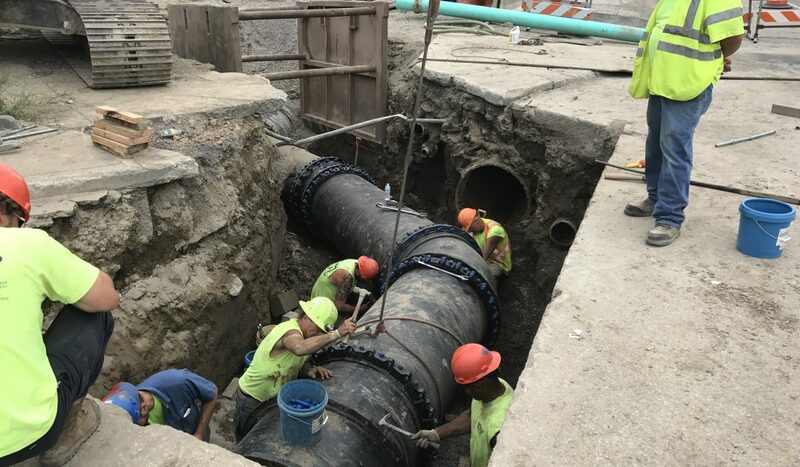 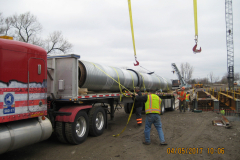 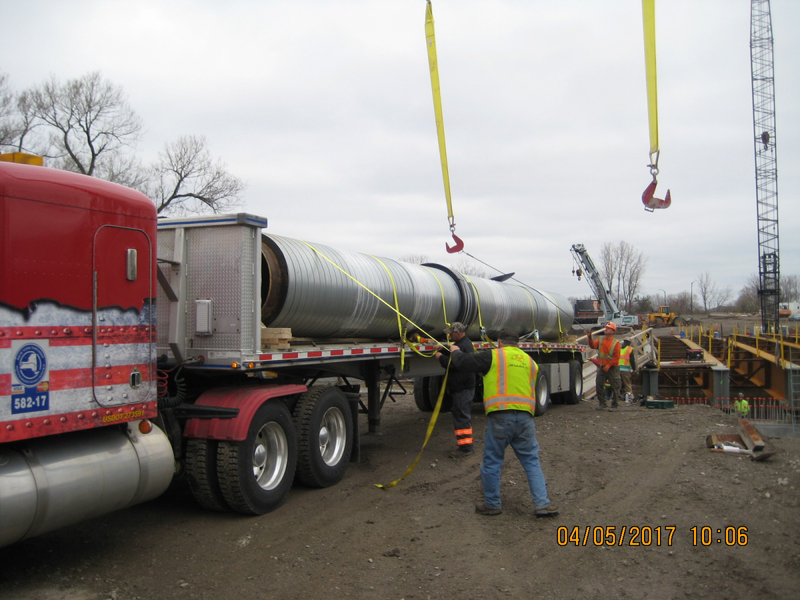 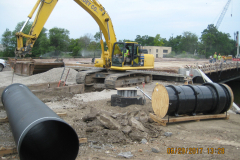 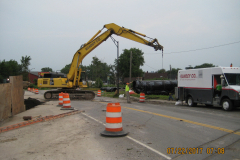 Scope – As a team member of Union Concrete Corp, a reputable local road & bridge contractor, Kandey was subcontracted for the relocation of the existing new 36” water main. 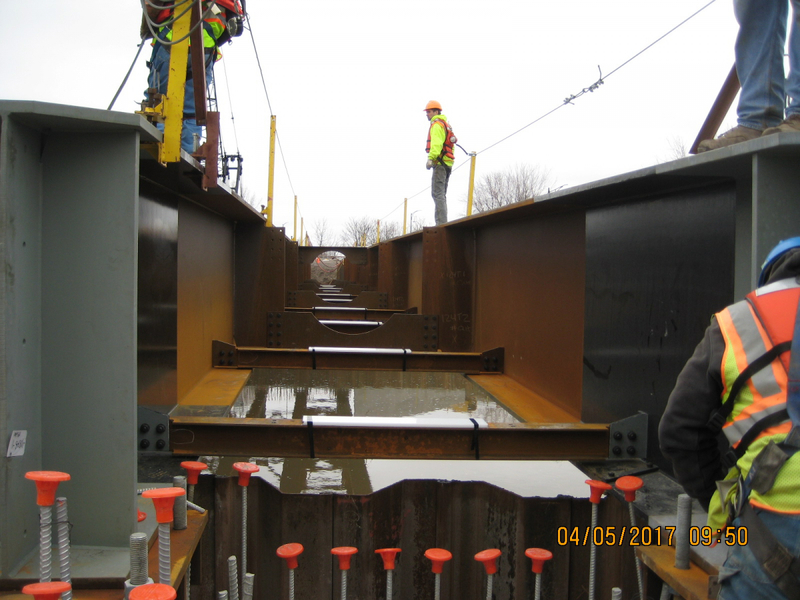 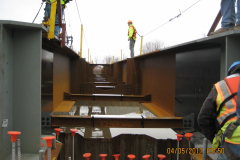 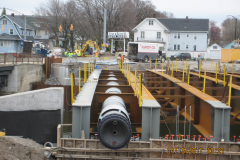 There were two bridges that crossed the Cazenovia Creek & Buffalo River where Kandey installed a 36” welded steel pre insulated main across both of these bridges. 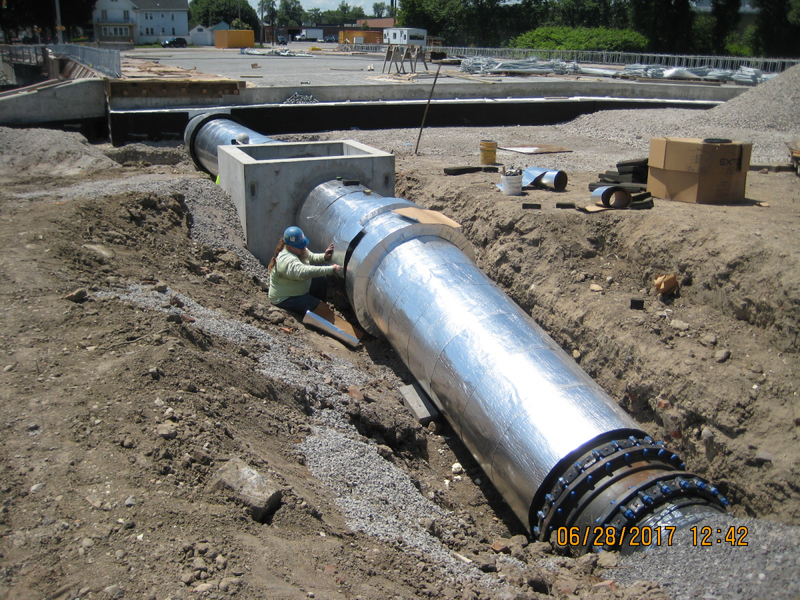 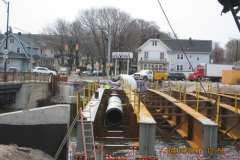 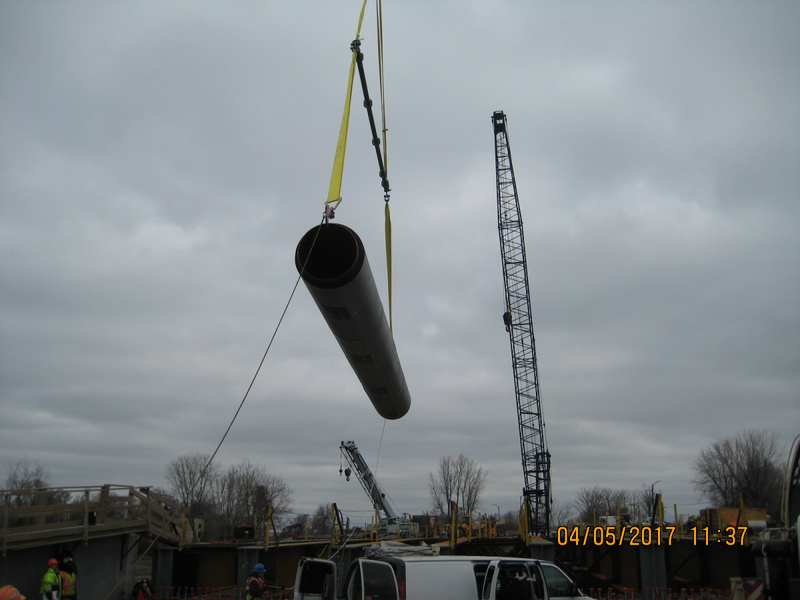 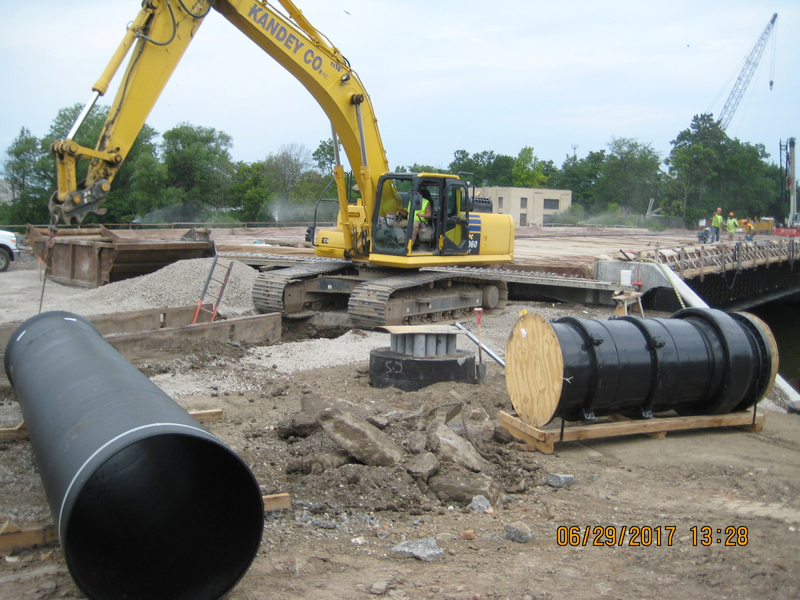 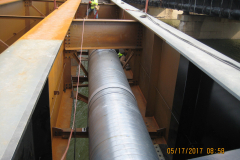 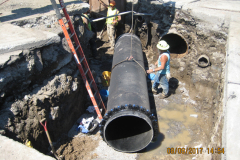 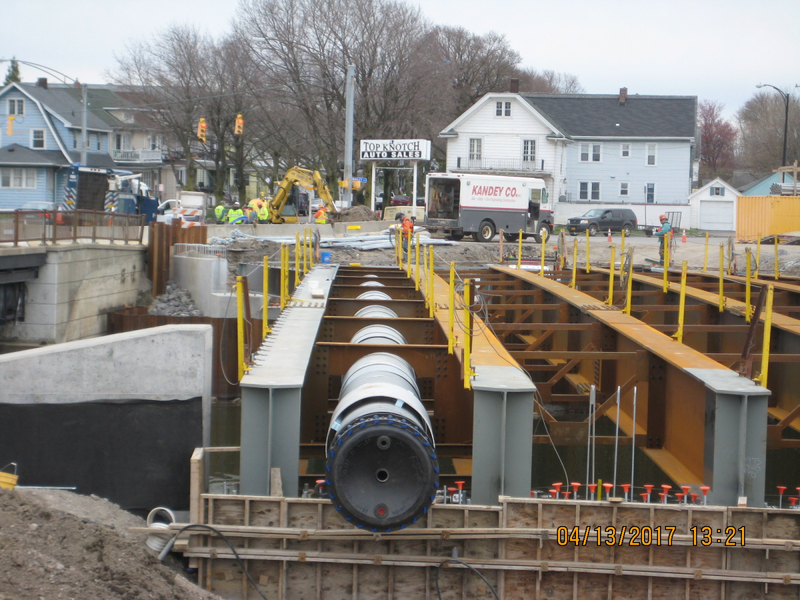 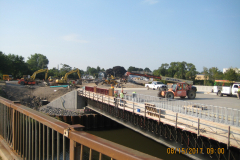 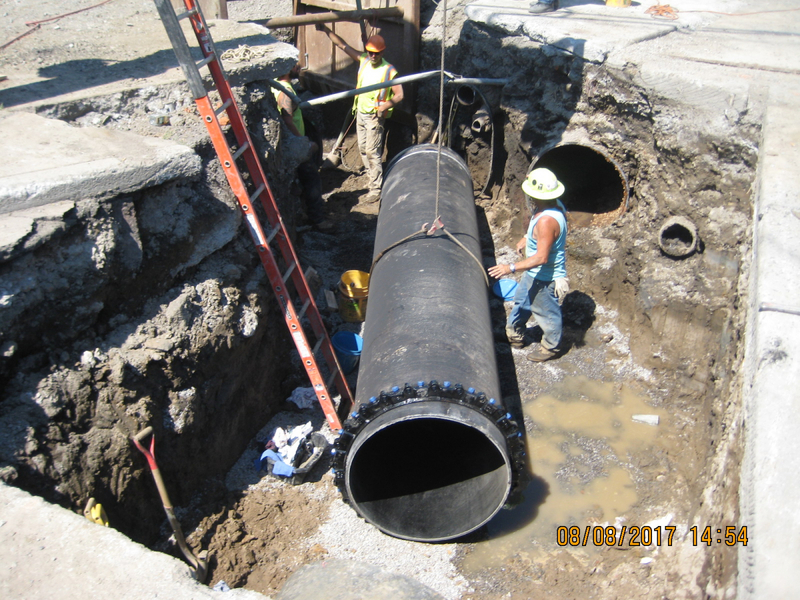 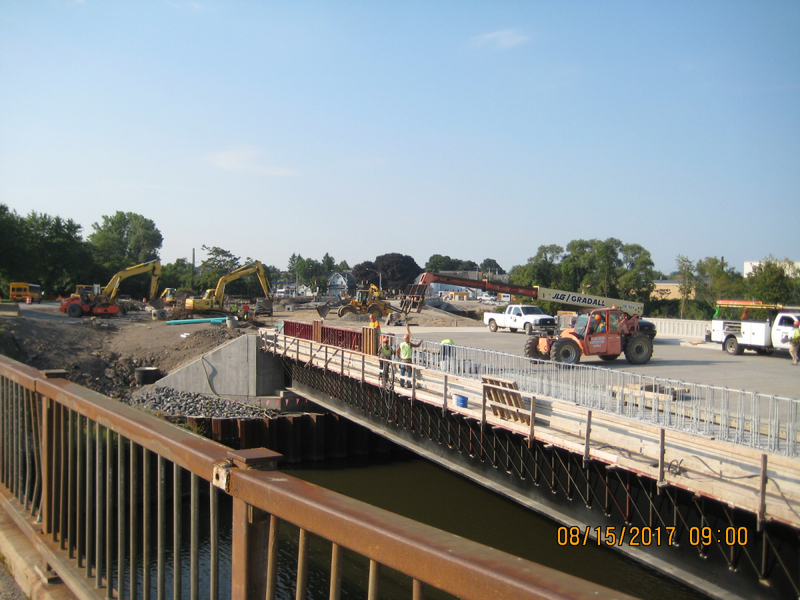 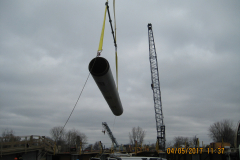 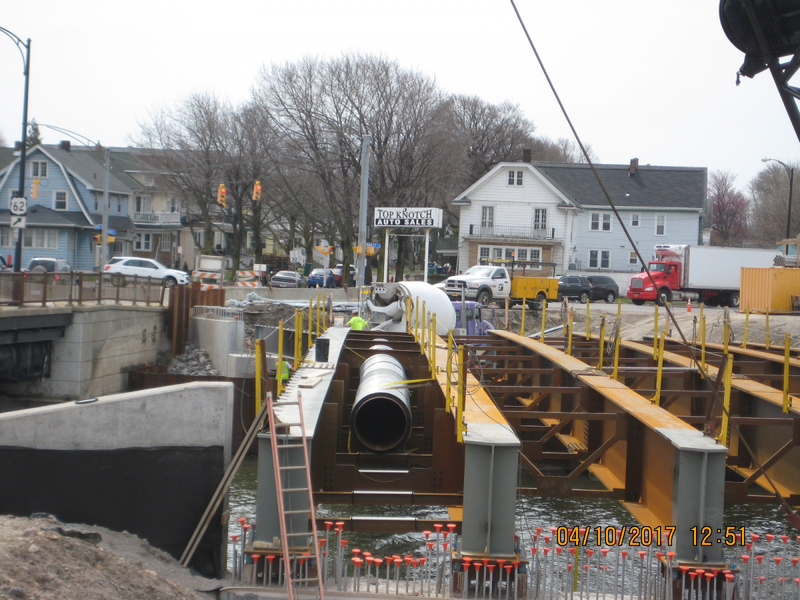 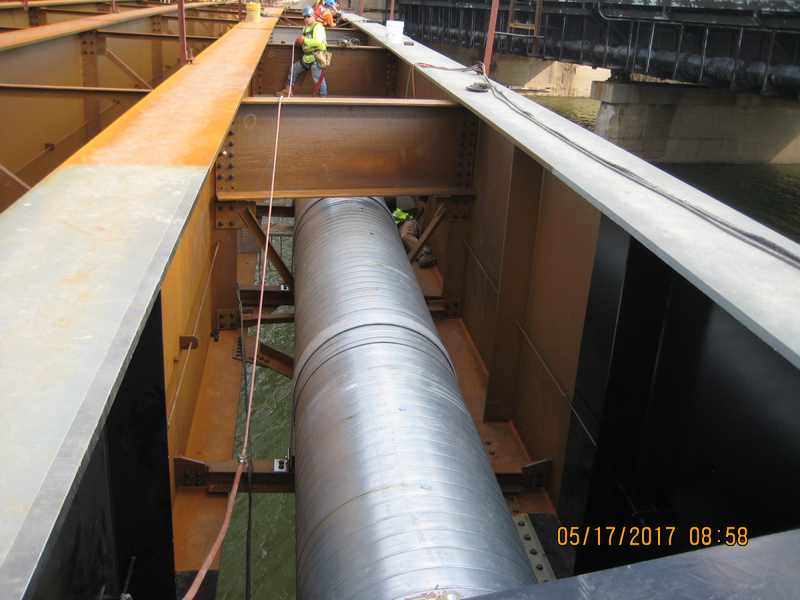 Once bridge piping was complete, Kandey then installed the 36” restrained ductile iron pipe and appurtenances between the two bridges and north and south sides including interconnections.